The vast majority of the annual crop acreage planted in North America this year will use neonicotinoid treated seed. Neonicotinoids are extremely toxic to honey bees, and recent research has suggested that honey bees that forage near these types of plantings may be at risk and that the risk of lethal exposure to these insecticides is highest during the period while crops are being planted. 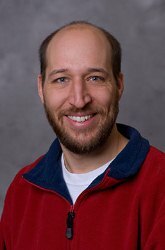 Dr. Christian Krupke (Purdue Extension Entomology) will present an overview of the current research at Purdue and elsewhere and offer suggestions for field crop producers that can minimize the chances of honey bee exposure to these chemicals in the field.